Contrast: His cash-strapped country is on its knees. Despite his advancing years and increasing frailty, 93-year-old Zimbabwean President Robert Mugabe shows few signs of losing his love for foreign travel, a predilection that is costing his cash-strapped country dear. Having racked up 200 000 air miles since the start of 2016 and outspent the parliamentary budget on trips abroad, Mugabe jetted off to the Mexican resort of Cancun this week for a “Global Platform for Disaster Risk Reduction” conference with a three dozen-strong delegation in tow. Back home the trip raised eyebrows, with opposition wags wondering whether Mugabe, who presided over economic collapse and multi-billion percent inflation a decade ago, was there to talk about causing disasters rather than preventing them. The length of the trip was another bone of contention in a country where banks seldom allow withdrawals of more than $50 a day and the government frequently pays state wages late. 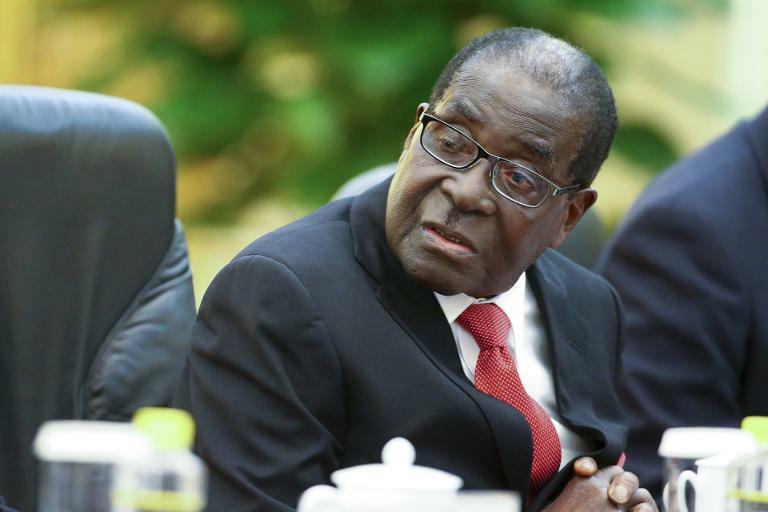 Mugabe left on May 19 on a private charter flight – his normal Air Zimbabwe plane is grounded – with an entourage of at least 35 officials, including cabinet ministers, bodyguards and reporters from state TV and the official newspaper, the Herald. During that time, Herald staffers will receive a daily allowance of $1 000 and other officials up to $1 500 depending on their rank, according to a government official who helped organise the trip. By contrast, the average state employee in Zimbabwe is paid $500 a month. To make the most of their overseas jaunts, many officials have been known to check in to cheap hotels far from conference venues to save up for property, cars or school fees back home. “We have a bureaucracy that is getting extortionate per diems from the travels. It is a parasitic mindset,” said Tendai Biti, a former finance minister and opposition leader. Last year Mugabe made at least 20 trips abroad, spending $36 million in the first 10 months, up from $33 million the previous year, according to Ministry of Finance figures.